Dance is one of the warrior’s oldest methods of transmitting and preserving successful battlefield experiences and is the foundation of many older martial art forms and kata that exist today. Combined with music it was an effective method of transmitting the physical and psychological rehearsal of fighting from one generation to another, using pre-arranged steps and patterns to mimick fighting skills, martial prowess and heroic deeds in battle. Dance was particularly useful to a warrior society during periods of government prohibitions, the Filipinos under the Spanish occupation and the Indonesians under the Dutch with their weapons confiscated and their training prohibited, preserved their native fighting skills under the disguise of harmless-looking stick and step dances. In Scotland there were several attempts to proscribe the weapons of the Highlander, a number of 'dances' using sticks are known to have been practiced during this period, these include the 'Bruicheath' or Battle Dance and the 'Dannsadh Bhiodaig' or Dirk Dance. Later this was one of the few countries in Europe where the military encouraged the practice of combative dances and continued to teach them alongside modern mechanised warfare - although these dances would later become known as a form of callesthetics when their true martial significance was forgotten. To the untutored eye there has been a tendency to regard the benign gestures of today’s Highland dancing, performed by young girls at Highland games around the world, as the remants of a quaint traditional folkdance. But there was a time when it was regarded as a sign of male prowess and taught to boys from a young age, along with the traditional Highland weapons of war, the broadsword, dirk and targe. 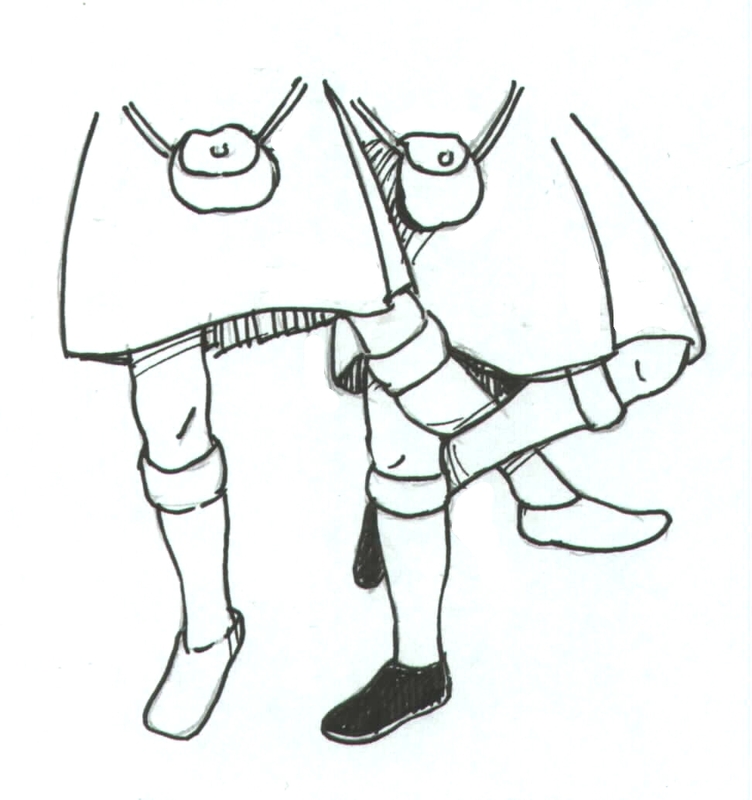 It is true that many of the dances today contain relatively recent choreography but elements of older forms of Highland dance may have preserved techniques designed to drill simple but effective methods of close combat skills including footwork that kicks, sweeps, trips and throwing techniques, key elements of medieval wrestling styles which are still practiced in traditional European folk wrestling, including Highland Backhold, Irish Collar and Elbow and Icelandic-Viking ‘Glima’ wrestling. 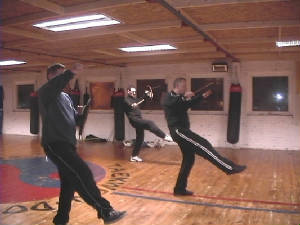 I was taught the Highland Dirk Dance from John Wesencraft who agreed to teach me the dance in late 2003-04. John had been the only pupil to have learned the dance from traditional dance researcher,Tom Flett. The version of the Dirk Dance taught by Louie Pastore was recovered in Canada by renowned dance researchers Tom and Joan Flett, back in the 1950's. The dance was passed to the Flett's from Mary Isdale McNab who stipulated that she would teach it only on the condition that it was a 'personal' dance and not to be taught to anyone else. 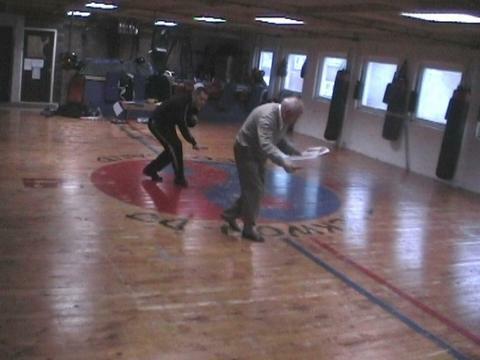 Tom kept to this stipulation but before his death he decided to pass the dance on to one person before it was lost forever, teaching the steps to John Wesencraft who later agreed to teach Louie the dance in late 2003-04.